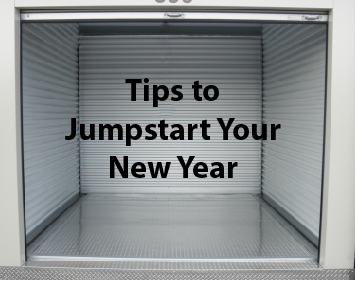 Store-It makes storing in the new year easy! Our online rentals and Halethorpe MD storage units create the ideal solution to create space at home. Podcasts and TV shows also give inspiration when you need a jumpstart to the latest project. From decluttering your home to straightening up your office space, use this modern solution to storage tips. Pinterest is a great source of information and ideas for home organization. This podcast talks about the easiest and most effective ways to clean your home during the new year. Kids, jobs, sports, school work, all these play a vital part in keeping the family efficient. Simple Families is a podcast all about simple living for small and large families. Giving parents the tips they need to keep their schedule in order will make for a successful new year! Create a cohesive home with tips from laid back moms on the latest podcast, Cohesive Home. Minimize clutter in your life and your family’s life with just a few simple tips. Our Halethorpe MD storage units and these podcasts are the perfect pair for storing this year. We offer storage rentals online so storing is fast and easy. Not sure when you will need a storage unit? Let us know and we will reserve the storage unit you want for that date.